Backpack diaper bags are perfect holiday alternatives to the normal shoulder-strap diaper bags. This is because backpack diaper bags have the best features to provide you with lots of rooms to carry all the things that you need for your vacation. Diaper bag backpacks are an ideal option for a parent who wants to travel with their infant. Not only are these diaper bags convenient but they are also so incredibly versatile. We use a diaper bag on the airport, as our carry-on for the plane as well as for all our explorations during the actual holiday. We have a unisex bag that both myself as well as my husband can use. We never leave home without our backpack diaper bag, you can see our favourite diaper bags for holidays by clicking here. Here are some of the benefits of diaper bags, and reasons as to why we believe that they will help make your holiday with your baby easier! The most appreciated advantage of a backpack diaper bag over a traditional messenger style bag must be the fact that it frees up both your hands while traveling with your baby. With a backpack style bag, you won’t to worry about the balancing act of carrying your baby in one hand while using the other hand to try and keep the bag from coming off your shoulder. It also leaves you free to deal with things such as flight tickets, passport controls or the simple act of purchasing tickets at attractions and sights. Diaper backpacks are generally very spacious. They contain lots of rooms to help accommodate your baby supplies. These bags also come with many compartments to help you organize your things and keep them neatly so that you can retrieve them within the shortest time possible. Which is great as you might possible need enough supplies to survive an entire day away from your hotel. 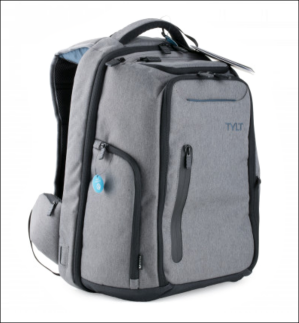 The bags are also spacious enough to let you even carry personal items such as mobile phones, keys and your tablet among other things. So, no need to carry a personal bag for yourself. You can click here to grab a printable checklist of what we pack for our holidays with our baby. A diaper bag backpack has two straps which allows for even weight distribution of the bag so that you can carry it more comfortably. This will be a huge advantage especially for those with a back problem and will make it easier for you to carry your baby items without straining your back. So important as you might be out exploring all day. The best diaper bags have padded shoulder straps for extra comfort. 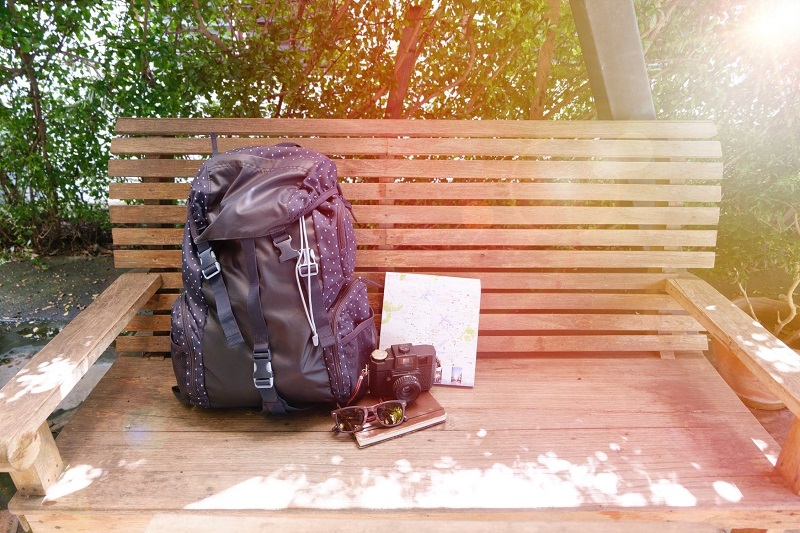 We love backpacks that also have extra padding in the back, together with a breathable material so that we don’t get to hot whilst hiking or exploring on our holiday. A backpack diaper bag works perfectly at the airport, inside the plane and during the travels. Our diaper bag fits easily into either the overhead compartment on the plane or even under the seat in front of us. We often baby-wear our little one whilst exploring as many sights have stairs to navigate and we do find that the weight of the backpack on the back really helps to counterweight baby’s weight on the front. Another advantage of a diaper backpack bag is the fact that it is convenient for use by both dads and moms. These bags don’t seem to be too feminine, which appeals to those dads who may want to carry something manly. Most diaper backpacks don’t look like diaper bags at all, which makes them easy to be carried by dads when they are traveling with their babies. Click here to see a list of some great masculine diaper bags for dad. We love travelling with our baby. She has been on over 22 flights since she was born. It has taken us a while to find our groove with all the choices of baby supplies out there, but we have realized that with a baby, less is often more! If you want more tips on how to travel with your baby, click here. A backpack diaper is just great as it can fill the function of a carry-on bag, a hiking bag, a daypack as well as just your old traditional diaper bag. Try to find a bag that is spacious, but lightweight and that has added padding in the shoulders and back. Enjoy your holiday with your baby!